Abstract: Fibrous dysplasia is a benign fibro-osseous disease of the bone, which is most commonly associated with congenital mutations in cAMP regulating protein Gsα coded by GNAS-1 gene. Often it is seen involving the craniofacial skeleton and can range from an asymptomatic monostotic form to polyostotic variant involving almost all the bones of the skull, thereby leading to functional and esthetic problems. This requires a continuous monitoring of the involved region throughout the life of the patient, even after the surgical interventions. We are presenting two cases of craniofacial form of fibrous dysplasia. One case shows monostotic form, while the other case shows features of polyostotic form of disease. 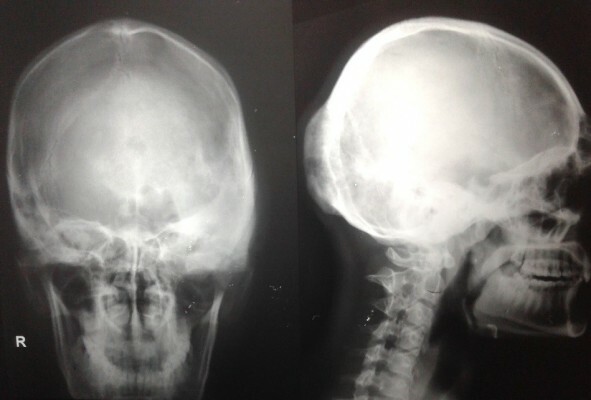 To the best of our knowledge, these are the first two cases of craniomaxillofacial fibrous dysplasia from Nepal, which will be reported and published.